I went to the library to return “Look Homeward, Angel” half-read (the book depressed me) and I wandered into the poetry section coming home with four books, including Patti Smith’s “Woolgathering.” Much later—after Josie had gotten skunked, just in his face, mainly about the snout, and been bathed with a solution of water, hydrogen peroxide, baking soda, and dish soap, and rubbed about the face with the half tomato in the ’frig, then rinsed, dried, all the towels hung out to dry, then, dinner—I’m feeling poached, uncontained, jelly-like and discontent. I light candles, draw a bath, settle in, begin reading “Woolgathering.” Choppy waters calmed. “Woolgathering” is poetry and stories and once in a while Smith goes out on her second-floor fire escape for the noise of the people and so now I want a fire escape of my own, more so a portal, an imaginary secret magical Alice in Wonderland rabbithole door that leads to a fire escape, fourth or fifth floor, and I can go there, to hear the noise. If I drape a cloth over the table in the kitchen maybe the door is under there, just lift the cloth, crouch down, go through, cross over, hear the rumble of the el, the cheers and boos of a ballgame, Wrigley Field, I am close enough to hear the incessant raucous music, like a hum of bees and crickets, cicadas, and I can almost see the field, from my fire escape, just down a block or two and away over that-a-way, it is warm, but there is a breeze, off the lake. A slip of a moon. An orange haze. The ballgame ends. I hear the singing. A scorecard floats up. I grab it. Someone has kept score in blue ink, neatly, first inning to last. I review the game. I remain on the fire escape listening to the crowd as it dwindles, disperses, the honking of horns, the pounding beat of an urban sound system on wheels, a car alarm, the rumble of the train. I take the scorecard with me back through the portal, under the cloth, home, deer, quiet. The next night, I do the same, Josie joins me, we sit on the fire escape, enjoy the noise of the people. 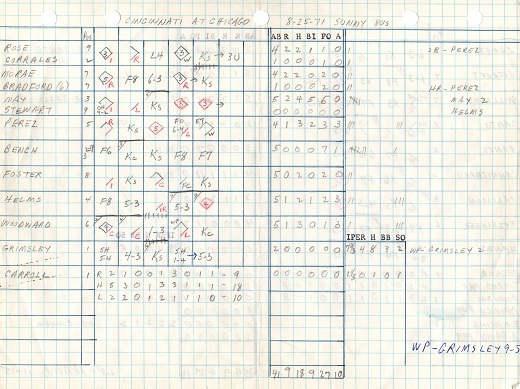 Another ball game, another scorecard. This one in pencil. Not so neat. Looks like mustard in the seventh inning. The next night, Elliott joins us, we sit on the fire escape, enjoy the noise of the people. 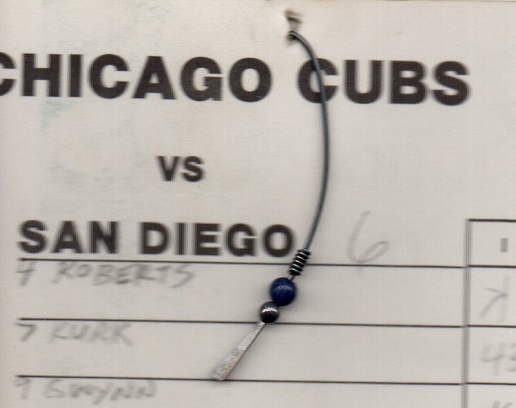 The game ends, the crowd sings, a scorecard floats up, this one all in pictures, black ink sketches, the crowd, the players, a close play at third, Joe Maddon and Joe Maddon’s glasses. Another night, well someone tried, but beer was spilled, the scorecard dropped, a shower of peanuts and Crackerjack. One night I crawl under the drape hanging over the table, cross over, go through, and the city night is quiet. Cars, a bad muffler, a train, a siren, a yell, a murmur, a laugh, a dog barking, to be sure there is noise, but quiet. A scorecard floats by. I grab it. Cubs 3, Giants 2. August 28, 1992. A scrap of paper once tucked in falls out. D: It’s good to live here + have Cubs Park here. The next night, a paper airplane. I grab it, unfold it, it’s graph paper with my father’s precise notations depicting Cincinnati at Chicago, 8-25-71 - Sunny - 80s. Cincinnati won, 9-4. I get out of the tub, feel so much better, and even though normally I would think it was too late for tea, I make myself a cup. Peppermint. and read and write and watch a baseball game all at the same time. 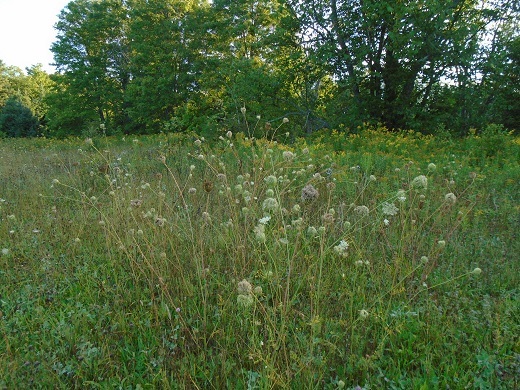 One morning, I think I see ballet dancers caught mid-dance in the field, but, it is, as usual, Queen Anne’s lace. 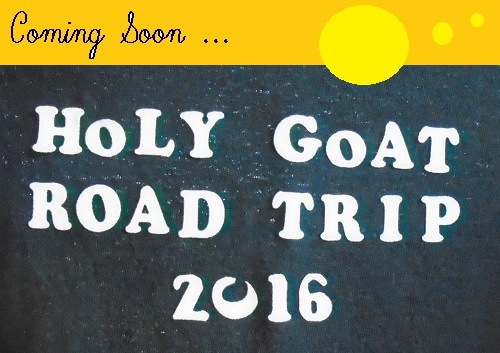 The Holy Goat Road Trip will shake things up a bit. One day, one van, two people, one dog, one ball game, one trip to the past, one trip to the future, one trip to the alternative present: Holy Goat, now that’s one heckuva road trip! It’s in the back of my mind and there is all this planning, planning, so it’s in the front of my mind, but no matter where it is, it seems unreal. That’s the thing: It seems unreal. I have biked to Wrigley, walked, taken the el, taken the bus, driven across town, flown from Missouri, and once that road trip from Appleton, Wisconsin—but all that, different times, different people, different places. Along about the fifth inning, Cubs announcer Jim Deshaies does this promo: “Fans, how do you get to Wrigley Field?” Well, JD: Get up in the middle of the night, grab your bag and your dog, head south on Pelkie Road—the full moon is shining—take a left on M-38, take a right on US 41, two hours in pick up Deb at the Holiday Station (should Deb have an alias? maybe), chug along through moony woods, pick up M-35, sunrise over Lake Michigan?, then back on 41, veer off to 43, 94, we know all this now, Milwaukee, Chicago, exit Touhy Avenue, unless traffic dictates an alternate route—my dad knew them all, I know them well—Josie goes to a dogsitter, the van stays there, Deb and I catch a bus or maybe the el, and then, by noon or earlier, if all goes well—and it will—we’ll be at Wrigley for a Friday afternoon Cubs game. Deb’s first, my—what is it? 200? 300? 569? One can not tell by scorecards alone. I’ve now been inside Temple Jacob; that is a holy place. Wrigley Field, too, is holy—scoff, I don’t mind. I know it is. Things can be holy in wholly different ways. Though maybe history, still-standing-after-all-these-years, has something to do with it. The temple is a holy cube—being within the cube, there was something about its dimensions, felt just right. It is neat and spare and on that morning dappled light shone through glorious, poetic, stained glass windows. Every light fixture was a globe. Century old wooden benches. A library in the basement—oh, that library. A couple tall bookcases stuffed with books and a low table covered. From the table I grabbed what was right in front of me. The book that saved me from “Look Homeward, Angel.” Written by an anthropologist, Barbara Myerhoff, it is called “Number Our Days.” She spent time with elderly Jews at a community center in Venice, California, in the seventies, learning much. Such discussions they had! My favorite parts are the straight transcriptions of exchanges that took place in the “Living History” class that Myerhoff offered. Funny and poignant, at times like a Woody Allen movie. And then the insight into “Being Jewish.” I loved it. In their stories … they witnessed themselves, and thus knew who they were, serving as subject and object at once. They narrated themselves perpetually, in the form of keeping notes, journals, writing poems and reflections spontaneously, and also telling their stories to whoever would listen. And sometimes stories, like lives, drift.